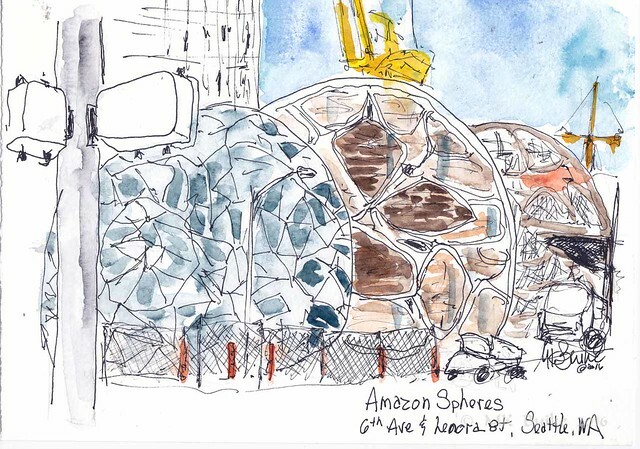 We met to sketch the Amazon Spheres under construction. I hadn't been feeling well the past couple weeks (a cold) and I was dreading the high heat. For most of our sketch outing, though, it was warm but there was a breeze so it wasn't uncomfortable. As I headed home about 1400 it was getting hotter. Once at my car, it's gage said 91 degrees (30 C !). 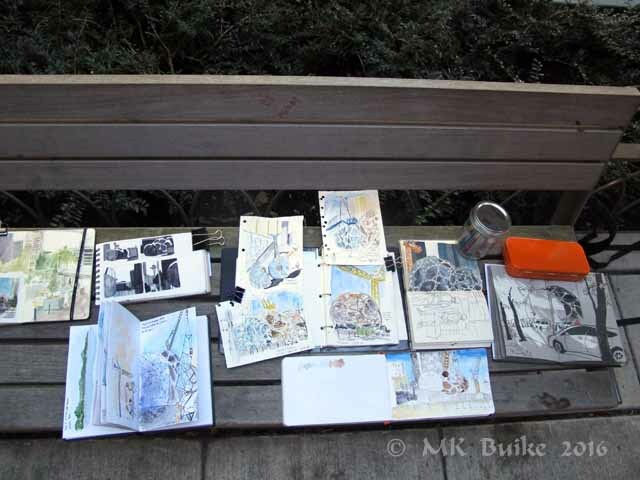 First, I left early enough to do another sketch in my series on the art in the light rail stations. 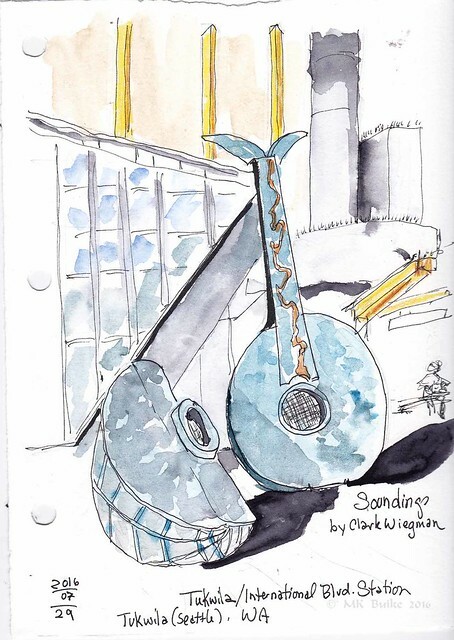 This is "Soundings" by Clark Wiegman at the Tukwila station. 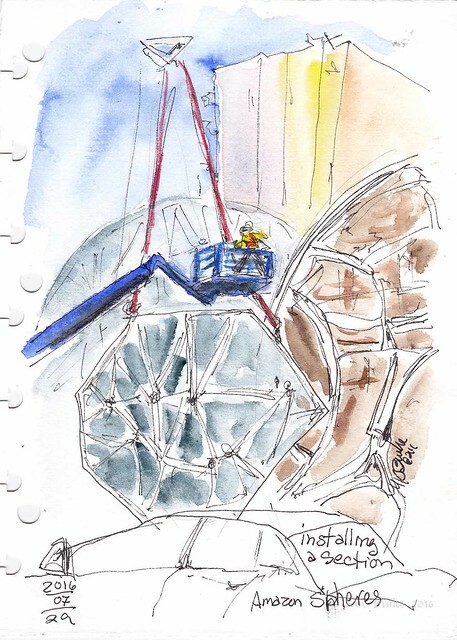 I arrived at the construction site early enough to get started on my first sketch by about 0900. 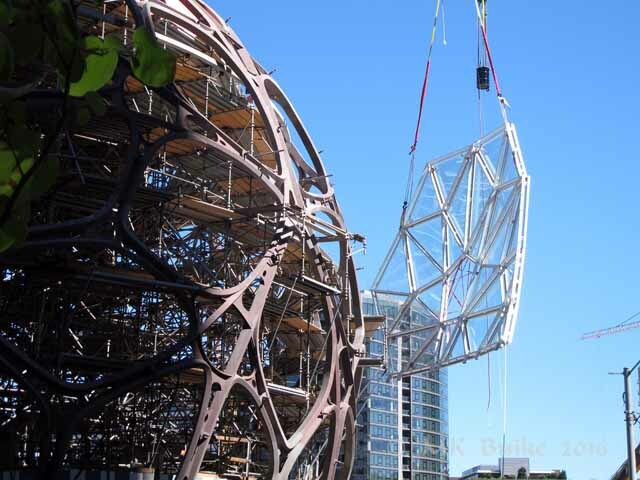 There are 3 spheres and each of them here is at a different point in construction. I walked down the street looking for another view and saw this section being craned into place! Once it got close, it seemed to hold for a while, long enough for me to gt a sketch. 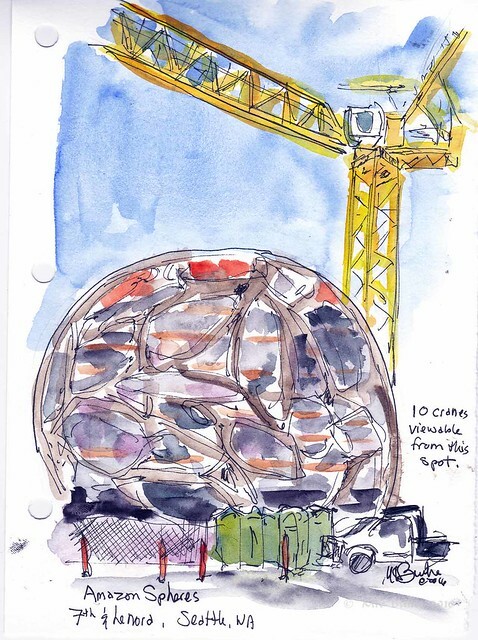 The third sketch of the day is the least finished sphere with a big crane next to it. I thought of Tina, who likes to sketch cranes. From where I sat on the sidewalk, I could see 10 cranes at different construction sites! We gathered again to share sketches and have a group photo. 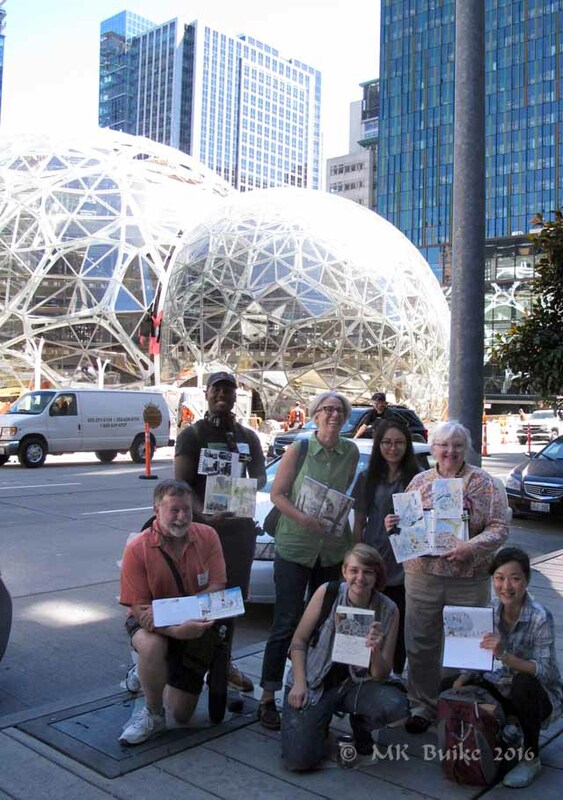 Several sketchers reported being asked about our group. I had a couple construction workers want to see my finished sketches.